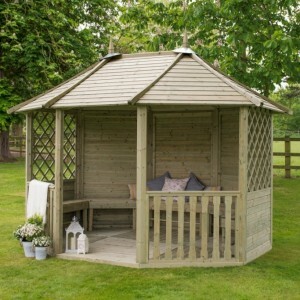 A gazebo provides shelter from the elements and a focal point in your garden where you can go to sit and relax. Garden Oasis supply traditional wooden gazebos made from pressure treated timber for a long life, and more contemporary wall mounted canvas gazebos with a metal frame that provide an inexpensive yet stylish shelter from rain and sun on patios, making them a must for summer garden parties. The Seville Gazebo by Glendale is a gorgeous garden structure, which also provides shade from the su.. 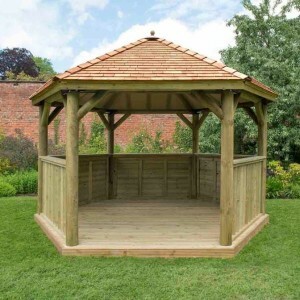 The Venice Rectangular Gazebo by Glendale is the ultimate outdoor structure for your garden, providi.. 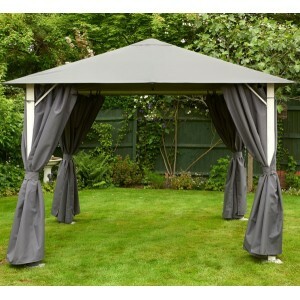 The contemporary styled Vintage Grey Gazebo from Glendale is a top quality, outdoor entertainment fi.. 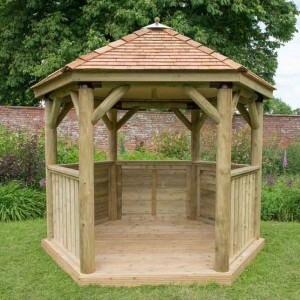 The 3.5m Square Gazebo with Base from Forest is a delightful, free-standing retreat made from top qu.. 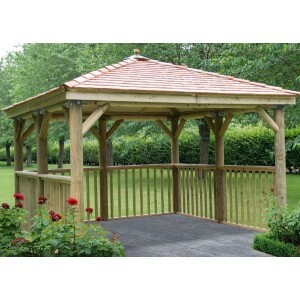 The 3.5m Square Gazebo without Base from Forest is a delightful, free-standing retreat made from top.. The 3.6m Hexagonal Gazebo from Forest is a premium quality outdoor retreat, perfect for alfresco din.. 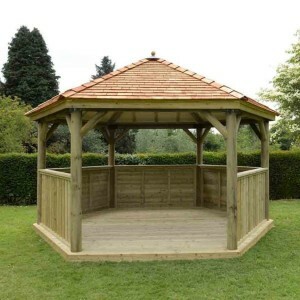 The 3m Hexagonal Gazebo from Forest is a premium quality outdoor retreat, perfect for creating a bea.. 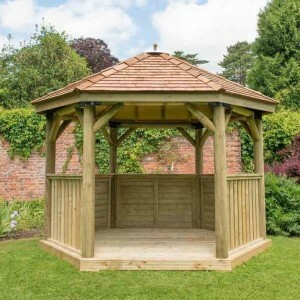 The Milano Gazebo from Brundle Gardener makes a great addition to your garden and is perfect for out.. The Royalcraft 3m x 3m Pop-Up Gazebo is quick and easy to erect, and with its showerproof canopy, it.. 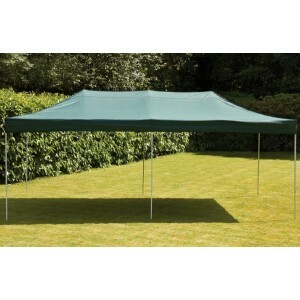 The Royalcraft 3m x 6m Pop-Up Gazebo is a simple and easy way to provide shelter and shade in y.. The 4.7m Hexagonal Gazebo from Forest is a premium quality outdoor retreat, perfect for alfresco din.. The 4m Hexagonal Gazebo from Forest is a premium quality outdoor retreat, perfect for alfresco dinin.. The 5.1m Premium Oval Gazebo from Forest is a beautiful, commercial standard structure, that creates.. The 6m Premium Oval Gazebo from Forest is a beautiful, commercial standard structure, that creates a.. 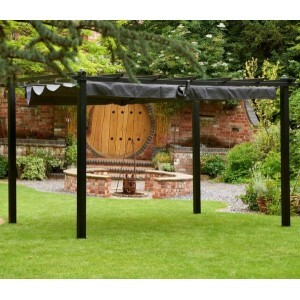 The beautifully crafted Arden Gazebo from Forest provides the perfect retreat from the elements, .. 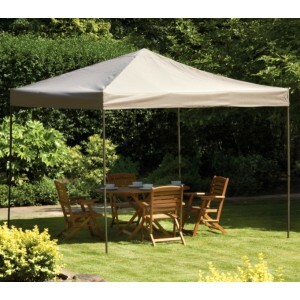 The Ashton BBQ Shelter by Zest is ideal for anyone who enjoys dining alfresco with family and fri.. 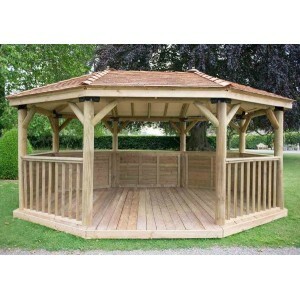 The light and airy Burford Gazebo from Forest comprises of three half solid / half trellis back p.. 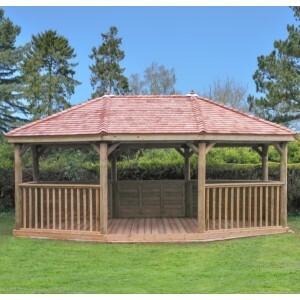 The Burford Pavilion from Forest is a popular outdoor gazebo for those with a large garden and wi.. The Martinique 5000 Garden Gazebo by Palram is crafted to deliver elegance, value and stylishness to.. The Monaco Gazebo is a high quality outdoor structure for those who want to add a permanent shelter ..
Time to add the ultimate outdoor structure to your garden! The Olympia Polycarbonate Gazebo from Gle.. 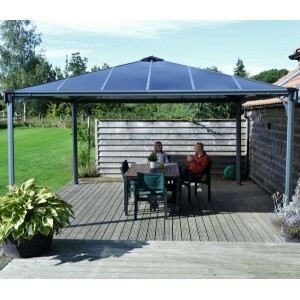 The Palermo 3000 Gazebo is the ideal solution for those who want to add a permanent garden shelter f.. The Palermo 3600 Gazebo is the ideal solution for those who want to add a permanent garden shelter f.. 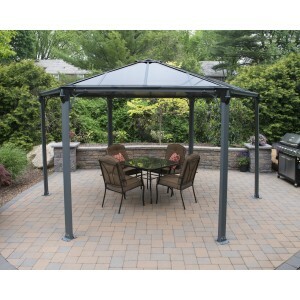 The Palermo 4300 Gazebo is the ideal solution for those who want to add a permanent garden shelter f..